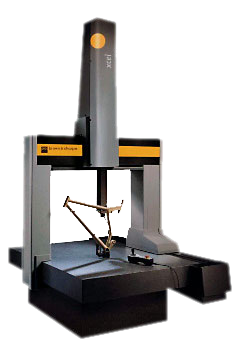 Tennessee Tool utilizes their in house climate controled labratory that includes items such as a modern Brown and Sharp CMM with PC DMIS software (pictured above). Tennessee Tool Employee's regularly participate in skills upgrade training classes such as PCDMIS, CADCAM, SolidWorks Design Software etc. Welcome to Tennessee Tool Corporation! For over 25 years Tennessee Tool Corporation has specialized in equipment repair, special machining as well as CNC production machining, reverse engineering with a fixed CMM and a portable CMM, metal stamping dies, fixtures, production gauges, fabrication, and special machines. Lean Manufacturing processes and ongoing employee training all contribute to our ability to be a source that you can rely on to provide products to your specifications with on-time delivery. Our designers can assist with your design-for-manufacture issues if needed. Our prototyping and quality lab capabilities will help assure a successful startup to your new programs. Allow us to quote your next project, our quality is second to none.